The truth is that I don’t do it all. Nobody does. Something always has to give. If—from the looks of someone’s online presence—it appears that someone is doing it all, then that’s just a misconception. People update their Facebook and Twitter statuses only when they’re doing something interesting. You rarely read “Watched Jerry Springer and at a whole box of cookies” or “Looking for the least dirty pair of pants in the hamper,” do you? No. There’s a lot of nothing getting done out there. It just doesn’t make it online. The same goes for me and my genealogy-ness. Weekends are family time around here, so I rarely get to listen to Geneabloggers Radio on Friday nights and chat online with the live listeners. I also usually miss the live version of the My Society radio show produced by the Federation of Genealogical Societies that airs on Saturdays. Both of these shows are relegated to my iTunes account to be listened to at a later date. Most genealogy events that happen outside of school hours also get missed. It’s just too difficult to get dinner on the table, prod my child to do his homework, and make it to a weeknight evening genealogy society meeting. I miss out on a lot of stuff, and I’m ok with that. 1. Genealogy for clients, 2. Genealogy blogging, 3. 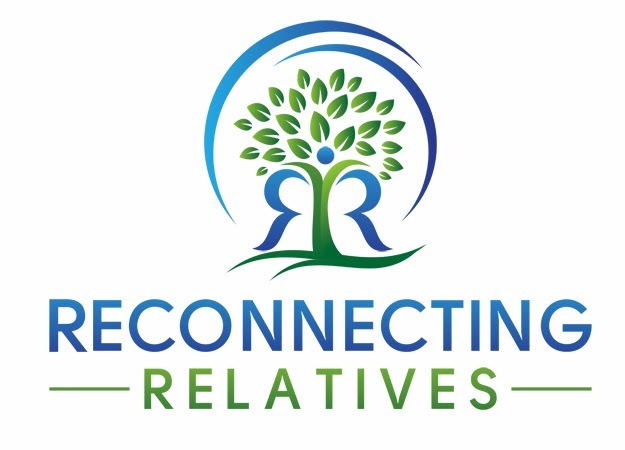 Genealogy socializing (online, meetings, conferences, etc. ), 4. Genealogy of my own family. Those are ranked by priority. Obviously, people that pay me to research their family history get the most productive part of my time. My blog is very important to me, so I spend some time there as well. It is my outlet of sorts. I use it for conversations and questions. My family doesn’t *do* genealogy, so my blog is my channel for interacting with other genealogists. I do social genealogy stuff almost every day. Weekends are quiet, but on weekdays, you can usually find me on all the big social media sites. If I’m going to be at the computer anyway, I might as well plug in. I like social media tools because they allow me to learn and give back. If I find something useful for the genealogy community, I pass it on. The genealogy work for my own tree doesn’t happen as much as it should, but I do try and schedule time at least twice a month. It’s not much, but it moves the project forward and that’s progress in my book. When does she do it? School hours are sacred, undisturbed time, so I do the most important tasks then. I listen to genealogy podcasts while I do household chores. If I’m parked in my car waiting for school or a lesson to end, I use that time to write blog posts. I do not have an editorial calendar, so I update my blog whenever I have something to say. How does she remember to do it? I have a regular, old-school paper calendar/appointment book. If it doesn’t get on the calendar, it doesn’t get done. I make lists each day that include genealogy work and household chores. If something doesn’t get completed, it just gets moved to the next day’s list. How will she end this guest post? Keep it simple. Do a few things and do them well. People always ask how I have time to blog, but I’m one of the few people out there that only has one genealogy blog. Have fun. Genealogy should not be a chore. Even the most mundane tasks (like improving your citations) have a reward. If you’re not feelin’ it, take a break. Cut yourself some slack. If the genealogy stuff doesn’t get done, it’s ok. Life gets in the way. Let it do so or you will miss it entirely. Amy Coffin writes The We Tree Genealogy Blog, one of Family Tree Magazines Top 40 genealogy blogs in 2010 and 2011. She is also the author of “Jump Start Your Genealogy Blog: 52 Ideas, 52 Weeks,” “52 Weeks to Better Genealogy,” and “52 Weeks of Personal Genealogy and Family History” series of blog topics. Look for her Big Genealogy Blog Book to be released soon. I have never looked for the least dirty pair of pants in the hamper...because they're not in the hamper, they're draped over some furniture. If they're all the way in the hamper, they're REALLY dirty. I've not looked in the hamper either for the least dirty-looking or less stinky pants. Nor have I found them draped on furniture. That'd be too classy. I've "rearranged" a pile on the floor looking for my dirty pants. "Pants on the ground," baby. My favorite line: "There’s a lot of nothing getting done out there. It just doesn’t make it online." Yea Amy for keeping it real! As a fairly new genealogist and blogger, its nice to know that I don't have to be Thomas "Mr. Omnipresent" MacEntee to be successful. Yes, but are Thomas' pants clean? Mr. Omnipresent doesn't mean Mr. Omniclean. Right? Right? This read was a fun way to get a reality check! Thanks for sharing. Glad to know I'm not the only one who carries an old school planner. Sometimes the old way works best! And if (when) I ate a whole box of cookies, I would be too ashamed to admit it online. I just wanted to say that I'm enjoying this series despite not being a geneamom (and unless something awesome happens, probably won't ever be). Some good tips even for someone who just hopes to work from home someday (the sooner the better).